High School Trip - Deadline Approaching! 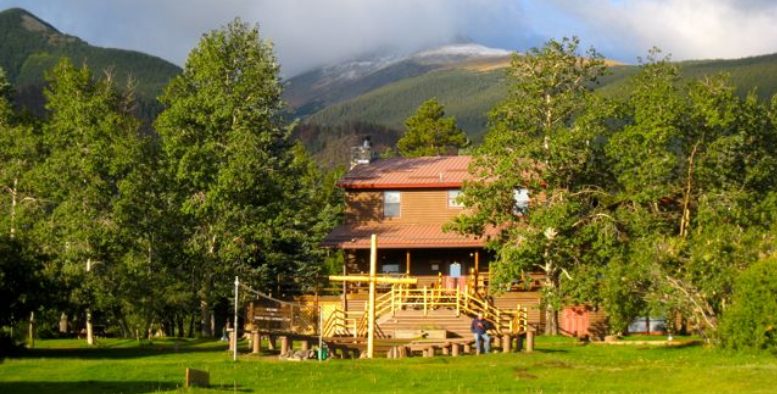 Rocky Mountain High by John Denver captures the beauty that will surround us this summer as we spend a week in the Colorado Rockies at Rainbow Trail Lutheran Camp. Having spent two separate weeks in two similar experiences to what we have in store for July 20-28, 2019, I can tell you, we’re in for a treat. Seriously. I can’t think of too many other places in the world that instill feelings of awe and wonder at the beauty of God’s creation like Colorado. What’s more, we’ll experience it together at an incredible camp, Rainbow Trail, that offers opportunities for leadership development, spiritual growth, service, community building and time to unwind and have a blast for one week in your life--a week you’ll remember as one of the best. Even more exciting, you have the option to walk in the quiet solitude amongst the forest and the streams through signing up for the Compass Points backpacking excursion. Through 3-4 days on the trail, our group(s) will be led by experienced guides who not only know the San Isabel National Forest like the back of their hand, but are gifted in spiritual and leadership development. 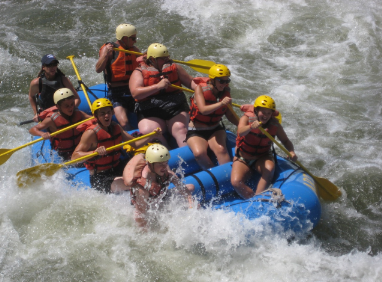 Plus, the trip includes half-day whitewater rafting (!! 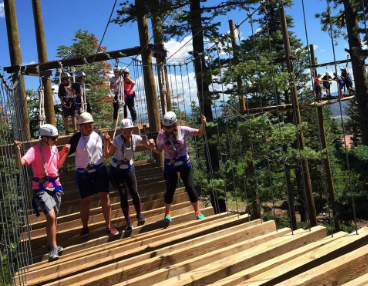 ), ropes course and a service project opportunity! All cooking and food supplies are provided and we will travel together and be with those who elect to stay onsite for the awesome High School Camp at the tail ends of the week. We will be traveling to and from Rainbow Trail as a whole group, no matter if you choose the onsite or Compass Points option, so there will be plenty of time to bond in the long drive! One word summarizes Rainbow Trail: prodigious. To join in on what’s going to be a fun and memorable trip, turn in your registration and to me at church by November 1st! (NOTE THE DEADLINE CHANGE). Follow this link for the general registration form and this link for Compass Points. Please email me (djc@gloria-dei.com) with any questions you may have. Middle School Mission Trip - Deadline approaching! Picture a ship about to set sail: the magnificent white hull towers over the docks and points towards the open water ahead. The tall masts shoot into the air, sails ready to propel the vessel onward to the grand voyage ahead. The Milwaukee Art Museum captures this feeling of magnificence and anticipation through its ship-like structure. Situated at the edge of a city with a rich history, one that has seen an influx of peoples from all over the country and world, notably Germany, Italy and the American South, the museum functions as a beacon of what’s to come. Working to overcome problems of racial injustice & inequality, poverty and gentrification, Milwaukee at the same time celebrates its food, culture and successes (just check out the season the Brewers are having). All of these things, plus the opportunity to partner with Serve Boldly, a Lutheran service organization grounded in the understanding of loving your neighbor, make me very excited for Gloria Dei’s Middle School kids to spend a week together doing God’s work in this community that’s only 4 hours away! I’m looking forward to a time of building each other up, while we serve alongside Milwaukee service organizations that are focused on youth and hunger. And of course, I can’t wait for all those fun and unexpected mission trip moments that will become lifelong memories. Sound like fun? Then be sure to turn in your deposit and registration by November 11!